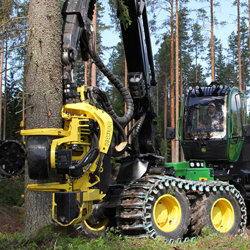 Forestry & Arboriculture are high risk occupations where operators are exposed to potentially very serious and occasionally life threatening injuries. In addition to this the work often takes place in remote locations far removed from the emergency services. This means first aiders in these occupations must be trained to deal with more serious injuries and manage them for a longer period of time than the typical first aider would expect to. NPT first aid training takes these factors into account to deliver high quality environment specific training that precisely meets the needs of the forestry and arboriculture industries. 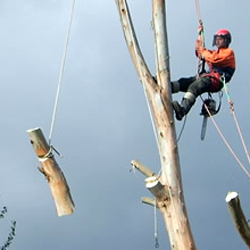 Trainers delivering courses to Forestry clients have an active interest in the forestry sector and those delivering training to arboricultural clients have significant experience in technical rope rescue also. We are proud to be members of FISA which helps enables us to remain current on the issues affecting the forestry industry and ensures that our training remains as relevant as possible. Forestry context first aid training is a requirement for many stalking leases both with large organisations (Forestry England, Tilhill, Natural Resources Wales) and smaller estates. The default choice for most is the EFAW+F qualification. North Pennines Training is a trade member of both the British Deer Society and BASC. Trainers delivering first aid training to deer stalkers have a genuine interest in stalking and have undertaken training to get a better insight into the sector. This is the most popular of our forestry and arb specific courses based on the specification identified in the Forestry Commissions First Aid Policy. 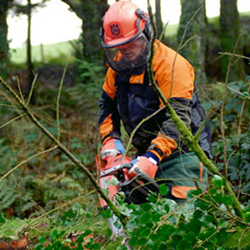 It is the minimum requirement for many people operating on forestry sites. Serious bleeds (as might be experienced with chainsaw injuries). Duration: 8 hours (including breaks) – usually delivered over 1 day. Requalification: Attendance at another EFAW+F course. This is the most comprehensive of our standard forestry and arb specific courses based on the specification identified in the Forestry Commissions First Aid Policy. 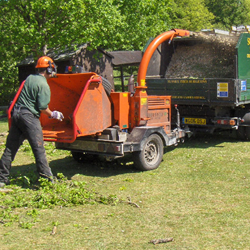 It is the minimum requirement for many people operating on forestry sites. The longer duration allows for a more detailed insight into many of the issues facing first aiders in this environment. If the original qualification is still valid or a requalification course can be completed within one calendar month beyond the original qualification expiry date then it is posible to attend a 12 hour (2 day) First Aid at Work Requalification course. If the original qualification will have expired by more than one calendar month then you must attend the full 18 hour (3 day) First Aid at Work qualification. The content of this course is exactly the same as the full 18 hour (3 day) first aid at work qualification but it is covered in a shorter 12 hour (2 day) course. It is only possible to attend this course if it will be completed no more than one calendar month beyond the expiry of the original qualification. Please check before booking that the current qualification is of the correct type and validity. The early versions of this course were originally developed for the outdoor activity sector and as such were designed from the outset to cover outdoor specific first aid. The course in its standard format covers all of the content necessary to meet the requirements for EFAW+F and FAWR+F. A highly practical course that covers a great deal of topics in 2 days. Duration: 16 hours – usually delivered over 2 days. Requalification: By attending another 16 hour Outdoor First Aid course. We can work with you to design and deliver the precise training that you require. These subjects can be amended or added to depending on the risks identified in the workplace. They can also easily be incorporated into site based training exercises. North Pennines Training can assist with the design and implementation of emergency plans and also conduct training to test (and practice) emergency plans. North Pennines Training have a great depth of experience in the delivery of forestry first aid training – our first courses were delivered just prior to the implementation of the original changes to the Forestry Commission first aid policy which gave rise to “+F” qualifications. A process of continual improvement combining the the most current thinking in pre-hospital care with feedback collected from every candidate that attends our courses means that our courses are very highly regarded. As a result of this approach North Pennines Training has recently been awarded the first aid training contract for Forestry England’s North of England Forest District which will see us train several hundred staff over the next 3 years. Excellent delivery. Great not to just have someone reading what was on the Powerpoint. Best of many, many courses I’ve attended. The course was excellent, well explained. Alistair has so much knowledge and nothing is a problem. Will recommend him and his company. Cheers. Having been on 17 first aid courses over the last 40 years this was one of the best. Best first aid course I’ve attended. Clear instructions and explanations. Thank you. The most informative course (lots of background and some sound understanding of physiology) that I have attended. Very informative course that was delivered by someone who understood the specifics of deer stalking and was able to steer the lecture in a direction that kept us all interested. Well done & thank you. First time that a first aid course has been interesting for the entire day. Well Done. Contact us directly if you are interested in a group booking for your company, organisation or simply your deer stalking mates. We need a rough idea of when you would like the course, the location and the number of people. Alternatively have a look at our open course dates to see whats available in your area. If there is nothing available that suits your requirements – Please Get In touch! We have many requests for courses and once we know there is sufficient interest in an particular area we will run a course. Alternatively we may be able to find you a place on another group booking.